Okay, bear with me here. As you may have gathered, my geekiness extends to the world of literature as well as to gardening; so when the two are combined – when gardens are featured in great literature or when gardeners write great essays – I am immersed in a perfect storm of horticultural-literary geekiness. I go weak in the knees. My geekiness knows no bounds. So this is the first in what I hope will be a series of profiles of LITERATURE’S GARDENERS – featuring green-thumbed characters from famous novels, plays, short stories, and poems, along with some witty and insightful commentary, of course. I’m going to skip Eve. Whether or not she should be considered a “character” isn’t really the issue; I just don’t think she’s a gardener. Just being in a garden doesn’t necessarily make you a gardener. Really, all she did was walk around naked picking fruit, feeling really good about herself and then, oh yeah, cursing human creation for all time. Thanks, Eve. If she’d been a true gardener, she’d have been too busy weeding and deadheading to even notice the serpent. I’m sure there were weeds in Eden. Milo O'Shea as Friar Lawrence in the Franco Zefirelli version of R&J you probably saw in high school. Friar Lawrence — from Shakespeare’s renowned play, Romeo and Juliet. If you were born after 1875, you read Romeo and Juliet in the ninth grade, from a literature anthology that was so big and heavy you could barely squeeze it into your backpack. You may recall Friar Lawrence as the well-meaning priest who secretly married our star-cross’d teens (the Catholics were scandalous even back then!) and who was also Romeo’s confidante. In the second act of the play, we find Friar Lawrence alone in his chamber, fiddling around with his flowers and herbs and waxing eloquent about them. 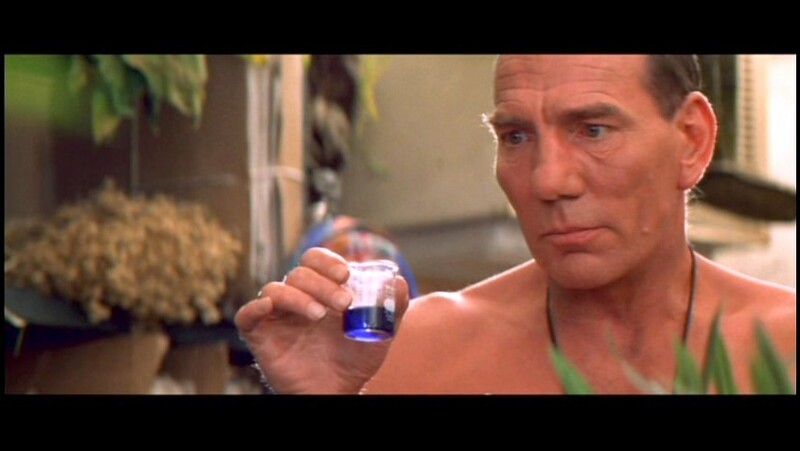 I’m sure you also recall that priests in the middle ages (when Romeo and Juliet takes place) were knowledgeable plantsmen and that Friar Lawrence was the one who cooked up Juliet’s sleeping potion. He really wanted these two crazy kids to get together so that their families would stop killing each other already! He then goes on to note that the opposing forces of “grace and rude will” exist “in man as well as herbs.” Friar Lawrence recognizes that human beings, too, possess this two-sided nature (again, thanks to Eve! ), and he uses his plants as a nifty metaphor to express that sentiment. 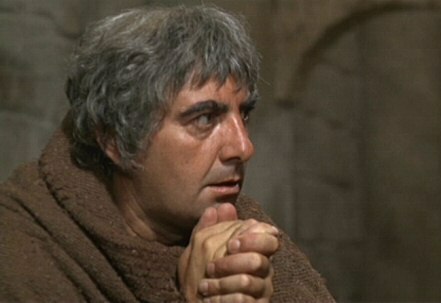 But I think Friar Lawrence appreciates his plants for more than just their metaphorical value. If you read the whole passage – better yet, if you see it performed – you get a sense of the wonder and awe he feels for the natural world. 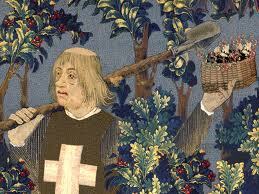 And I think we gardeners can relate to the Friar’s awe. We love our flowers for their beauty and fragrance, but there is something more profound that lures us to the garden. Plants are miracles of creation. Plants can feed us, kill us, and cure us. They can start wars and heal hearts. When we venture into our backyards on a summer evening with our clippers and trowel, we become – for awhile anyway – players in this world of “powerful grace” that Friar Lawrence described. We surround ourselves — as the Friar did — with the beautiful, dangerous, miraculous living things of Earth. This entry was posted in literary gardeners and tagged friar lawrence, literary gardeners by Mary Gray. Bookmark the permalink. A beautiful post, Mary. When you write about Shakespeare, I go weak in the knees! Have your ever read Ellis Peter’s Brother Cadfael Chronicles? A mystery of course, but the main character is a sleuthing benedictine monk whose hobby of gardening (focused on medicinal herbs) figures prominently in the stories.